For my midterm project, I’d like to address the ethics and implications of widespread biometric data collection. Biometric identifiers are defined as measurable, distinctive characteristics that are used to label or describe individuals. They’re commonly used by governments and private organizations to verify the identity of an individual or group of individuals, including groups that are under surveillance. Physiological characteristics include fingerprints, DNA, face recognition, retina scans, palm veins, hand geometry, and iris recognition. Behavioral identifiers measure behavioral patterns like voice and gait. 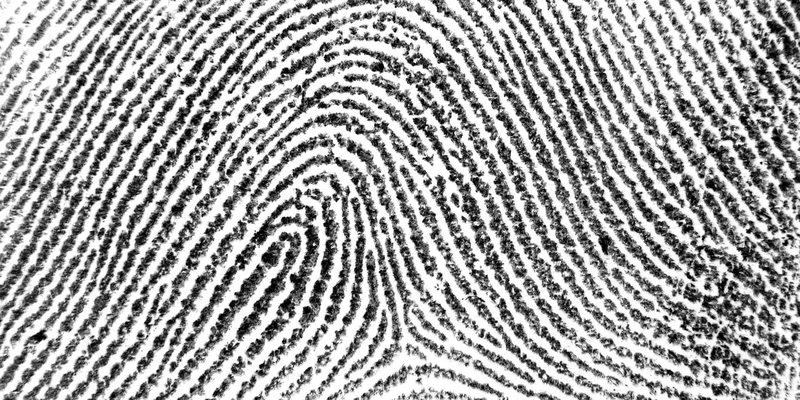 The earliest record of fingerprinting cataloguing dates back to 1891. 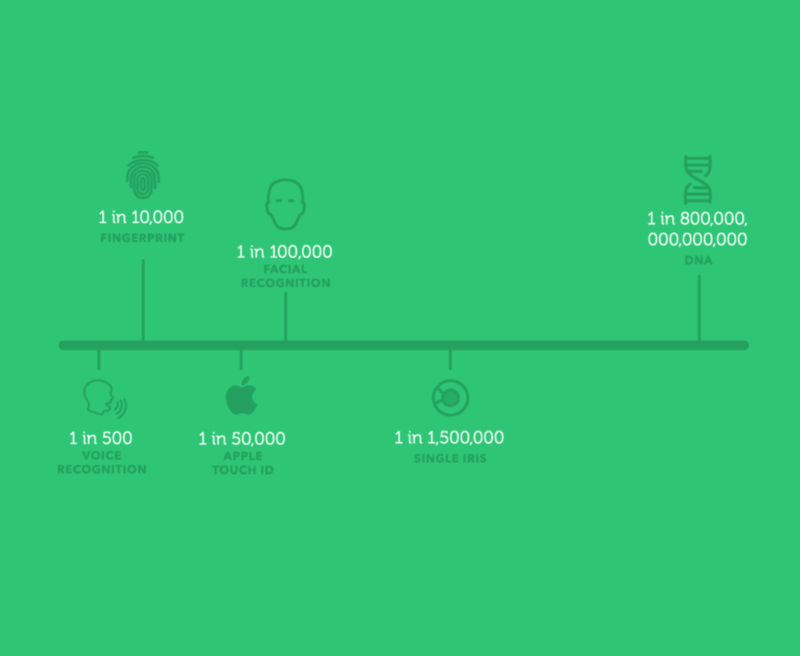 Biometrics arguably originated with “identificatory systems of criminal activity” as part of a larger system to categorize and label criminal populations. “The biometric system is the absolute political weapon of our era” and a form of “soft control,” writes Nitzan Lebovic. Under the post-9/11 expansion of the Patriot Act, biometric systems have expanded from the state to the private market and blurred the lines between public and private control. While biometric data is seen as being more accurate and therefore more reliable as a way to identify an individual, it is also not replaceable. If your private password was somehow compromised, for instance, you could simply change your password. On the other hand, you can’t replace your fingerprint or change other physical characteristics. Italian theorist Giorgio Agamben experienced the implications of “bio-political tattooing” firsthand in 2004 when he was told that in order to obtain a U.S. visa to teach a course at New York University he would have to submit himself to fingerprinting procedures. In a piece published in Le Monde, Agamben explains why he refused to comply, arguing that the electronic filing of finger and retina prints required by the U.S. government are ways in which the state registers and identifies naked life. According to Agamben, biometric data collection operates as a form of disciplinary power. This issue affects potentially everyone so our audience is very broad. Biometrics data is most often collected about populations that are already vulnerable, including criminals, the poor, and immigrants. Corporations put a monetary value on biometric data, and yet individuals don’t think about data collection as an intrusion. The goal of this project is to foster an awareness of the implications and ethics of biometric data collection. Ideas for the project and user journey. Concept #1: A physical installation that gives the user personalized information based on a biometric input. Concept #2: A speculative VR experience with advertisements tailored to user’s biometric data. Concept #3: A kit of wearable objects aimed at masking and altering user’s personal biometric identity. Concept #4: Collect (non-identity-compromising) biometric data from various participants and sell data on eBay in order to gauge the monetary value of the data. Previous Previous post: Redesign of a narrative experience: Mrs Dalloway in 360. Next Next post: Project proposal redux.